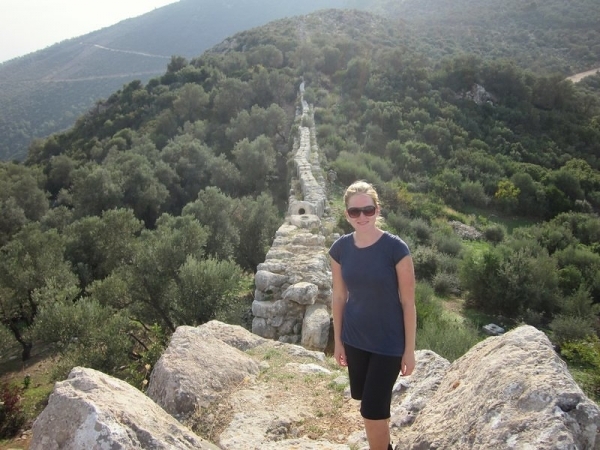 When we arrived in Turkey, we fully intended to hike the entire 500 km Lycian Way from Fethiye to Antalya. We, in typical Traveled Earth fashion, arrived wholly unprepared – without the proper gear, without a guidebook or maps, without adequate knowledge of the terrain, and without a clear idea of what the weather would be like. So we had a little work to do before we could start walking. We spent our first week in Istanbul and, while we were there, we made it our mission to get ourselves ready for the trek. We were planning to violate our budget six ways to Sunday by purchasing new hiking shoes (the Camino had all but worn our old ones out), a tent, sleeping bags and sleeping mats, but didn’t want to fork over any cash until we had the guidebook in hand. We set out to find a copy of Kate Clow’s guidebook (she created the trail). We went to every outdoor store and bookstore we could find, but couldn’t track down a copy in English. There were lots in Turkish, but this didn’t really help us. 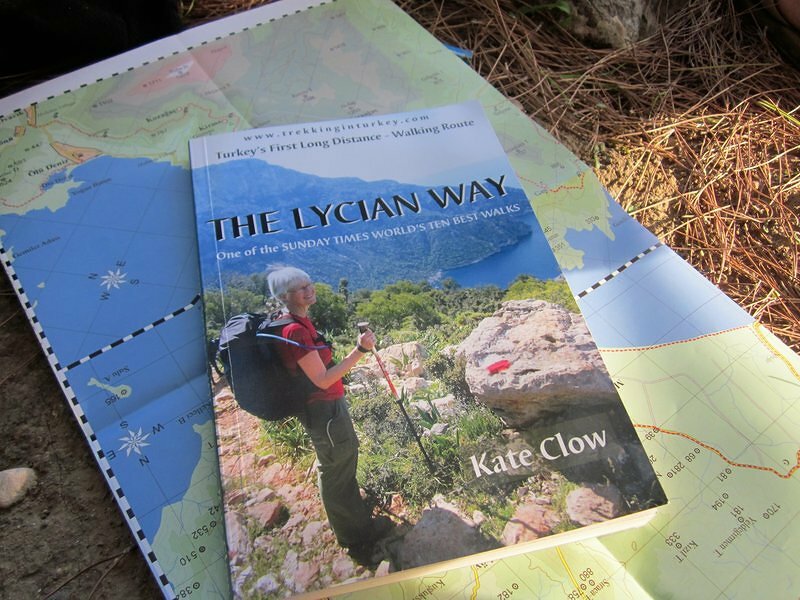 Eventually, we decided to contact Kate through the Lycian Way website and inquire on how to go about obtaining a copy. When I sent the email, I had no idea it would be Kate that would actually receive it. She assured me that she had plenty of English copies available at her office in Antalya. I had mentioned that we needed to know as soon as possible because we didn’t want to purchase any gear before we knew we could find the book. She replied that she had plenty of gear that we could borrow if we wanted. Jackpot! At the time, she was out of the country, promoting her new Culture Routes in Turkey Society, but she passed on the contact information of Hüseyin, one of her employees. We arranged to meet Hüseyin in Antalya, where he would be able to sell us a copy of the book, lend us Kate’s gear, store our computers and other things we didn’t want to carry for the duration of our hike, and answer any other questions we had. As we wrapped up our time in Istanbul, one of our new friends (Trevor, an Irish guy that had just cycled from Ireland to Istanbul and was waiting for a flight to Nepal) offered us his spare camp stove. We were planning to live off cold foods, but the dream of hot coffee and tea in the morning led us to take it. It looked like the hike was actually going to happen and we were stoked that we could cut down on the gear expenses. 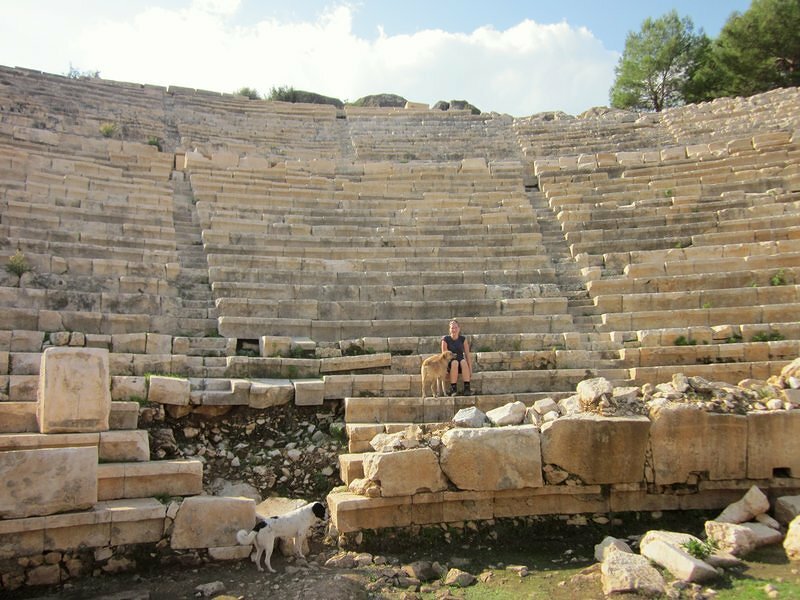 After spending five days in beautiful Cappadocia, we caught a night bus to Antalya. Hüseyin was kind enough to meet us on the Sunday afternoon that we arrived, where he took us to Kate’s house to assess the gear situation. In the end, we borrowed her lightweight two-person tent, one sleeping bag, two sleeping mats, a pair of rain pants, and water bottles. Hüseyin actually apologized that there weren’t two sleeping bags! We couldn’t believe their kindness and generosity… now we only needed to buy a single sleeping bag and new shoes. Score! We packaged up all the crap we carry around that we didn’t want to lug up the mountains (laptops, SLR camera, extra clothes, toiletries, and all that jazz) and left them in Kate’s house. 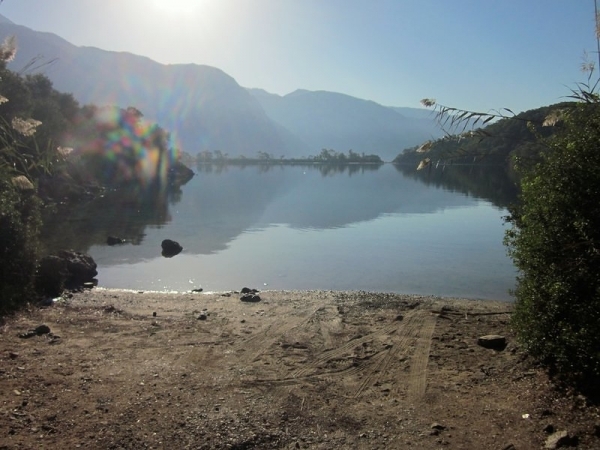 Antalya was actually the end point of the trail, so we could just catch a bus to the start point in Fethiye and hike back to our stuff. Early the next morning, we set out to buy the gear. We easily found an outdoor shop with a sleeping bag and hiking shoes & boots, but they didn’t have any footwear in Mike’s size. They phoned a couple other stores and still came up empty handed. This would be a deal breaker. Mike’s shoes were old when we left home, and after 900 km walking through northern Spain, they were full of holes, treadless and talking. He needed new shoes. The guy at the shop suggested another store that he couldn’t phone and would be an expensive cab ride to get to. There was no guarantee they would have Size 13 shoes either. Discouraged, we left the store and debated what to do. We passed a Nike store and decided to poke our head in, in the off chance they would have something appropriate. As it turns out, they had exactly one pair of size 13 men’s shoes – a pair of Gortex hiking shoes… score again! We returned to the outdoor shop, bought a sleeping bag, some stove fuel, and a few pairs of hiking socks for good measure. I picked out a pair of men’s hiking boots (they laughed when I asked for women’s size 10 and told me to forget it and look at the guy’s stuff). Usually men’s shoes are too wide for my feet, but these ones fit like a glove. I had wanted more versatile shoes, but with the great discount they offered us, the boots were actually cheaper. Later, as I hiked the uneven, rocky trails, I was thrilled I had boots – they saved me a sprained ankle on more than one occasion. 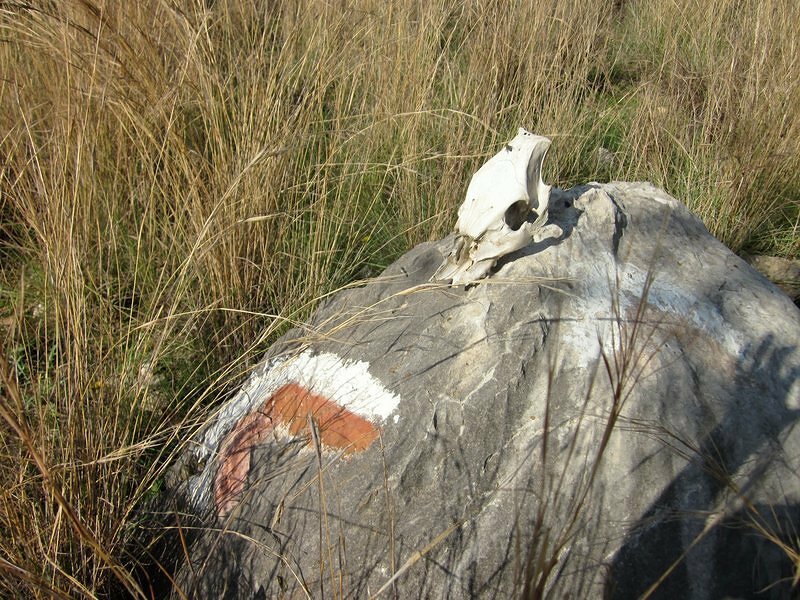 What we carried: All our gear had to fit in our 38 L packs, so we kept things as minimal as possible while keeping in mind that laundry facilities were not available on a daily basis. We each had three shirts, a pair of pants, a pair of shorts/capris, five pairs of underwear, five pairs of SmartWool socks, rain jackets, rain pants (Ashley only), a wool sweater, a fleece jacket, long underwear, flip flops, a toque, and a pair of gloves. For toiletries, we carried a small bottle of shampoo, contact lens solution, sunscreen, and wet wipes. We each had a sleeping bag, silk sleeping bag liner, and a sleeping mat. There was also the tent, the stove, two lighters, a first aid kit with plenty of headache meds, a compass, our headlamps with spare batteries, our Kindles, our point-and-shoot camera and charger, spare memory cards, a cell phone with Turkish SIM, our iPhone with charge, the guidebook and map, and a Turkish phrasebook (in retrospect, I wouldn’t recommend the phrasebook – take the time to write your own phrasebook on a piece of paper, including things like “I’m Canadian”, “Where is the market?”, “I am a teacher”, “I want a room”, “laundry”, “bread”, and any other bits you may want to share when you have a tea with the local villagers or need to book a room or buy supplies. It will be a lot lighter than a book and easier to find the phrase you’re looking for). Our next four posts will be our journal from the trail, but I thought an overview would be nice for this introduction. Before we started, we were using Camino walking speeds to calculate how long the trail should take. But, as we learned, the Lycian Way is nothing like the Camino de Santiago. On the Camino, we consistently walked 5 km/hour, even when ascending mountains. 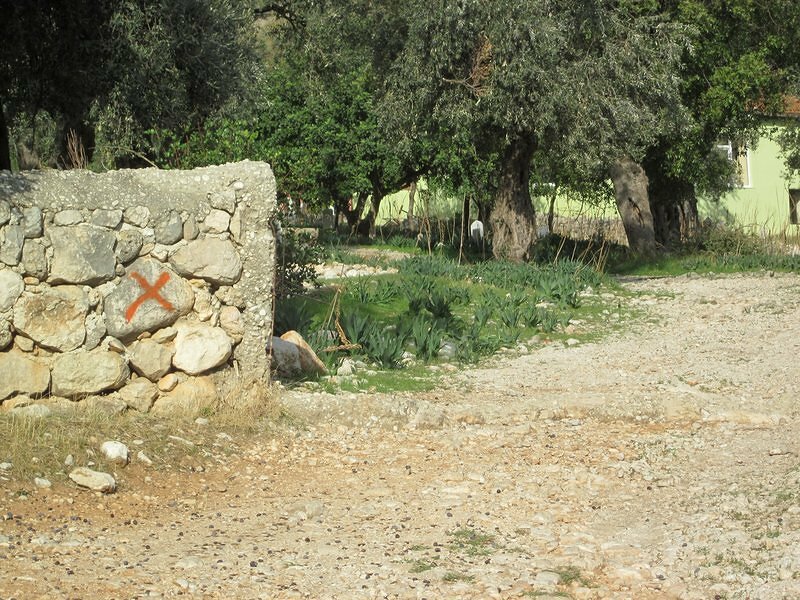 This is not the case on the Lycian Way. 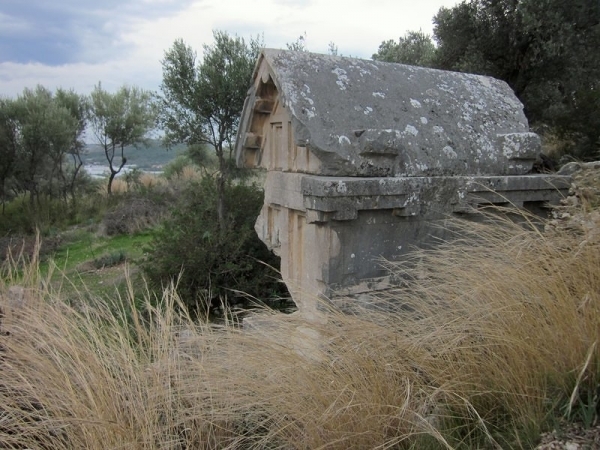 The Camino is a walking path, while the Lycian Way is a true hiking trail. 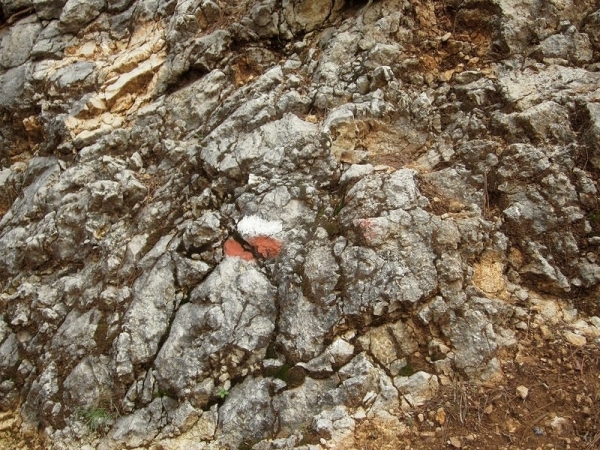 In many places it is steep, narrow, poorly defined, rocky and uneven. Nothing like the wide, well-groomed paths of the Camino. 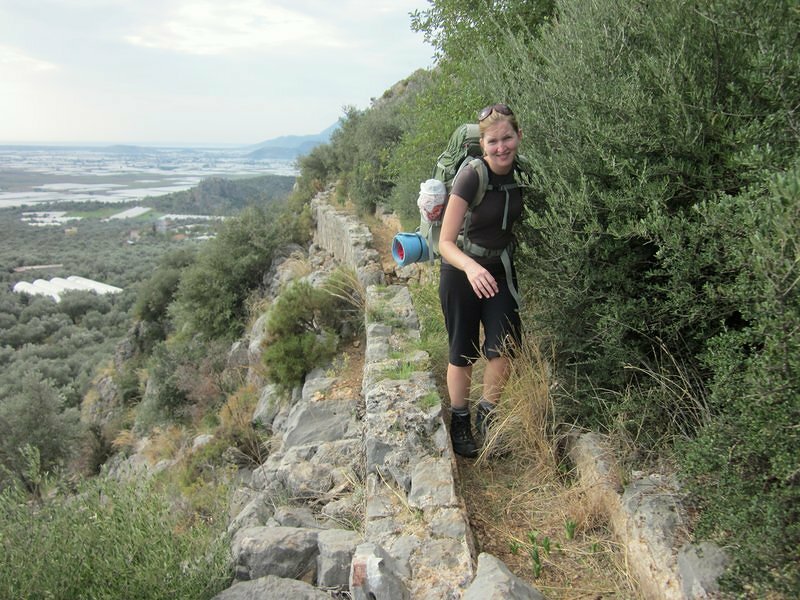 We spent most of the Lycian Way looking at our feet (good thing we had shiny new shoes to admire!) – the trail requires constant attention to keep from tripping, slipping, or stubbing your toe. Because so much of the Camino was asphalt, concrete, or gravel roads, it left us with aching feet and leg muscles. The Lycian Way trail was much steeper and more technical, and required longer days of walking, but hardly gave us muscle aches at all. With the camping gear we took, we were carrying more weight than on the Camino so breaks were more crucial. We took a 10 minute break every hour, whether we felt like we needed it or not. 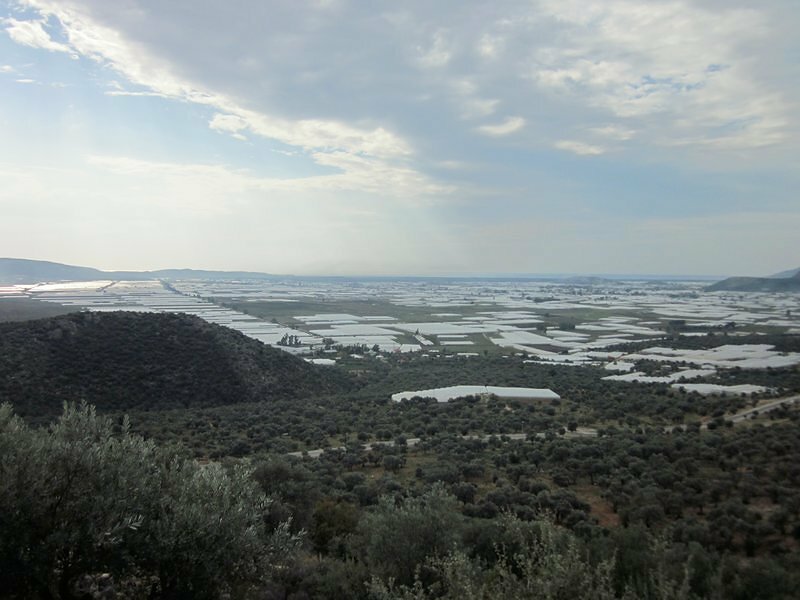 The terrain includes high pastures, fields, yaylas, steep rocky cliffs, seaside villages, mountain summits, olive groves and historic ruins. 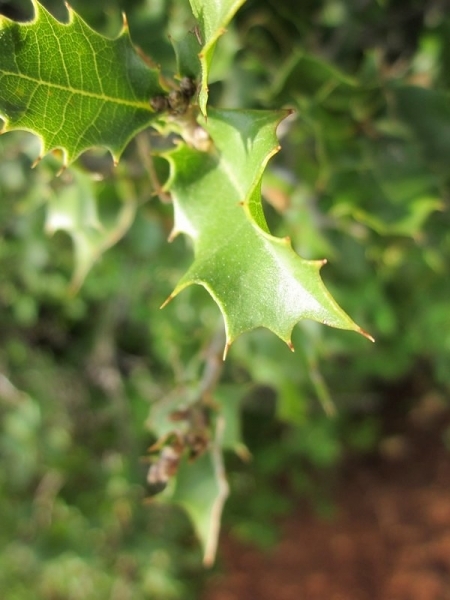 Pants were essential, as there were several places where sharp, thorny shrubs encroached over the trail. The weather was our limiting factor on the trail. 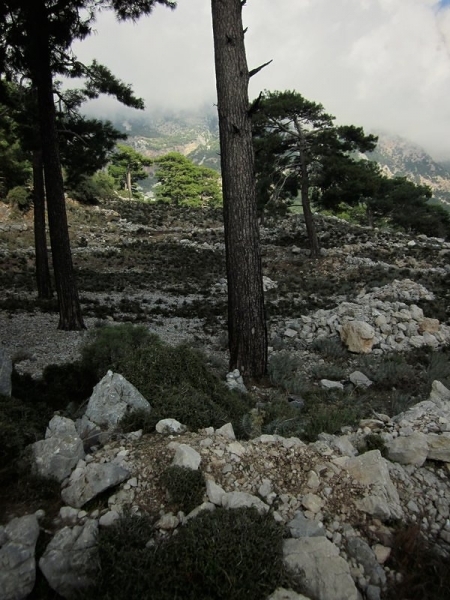 It is recommended that you hike the Lycian Way between February – June or September – November. July and August are way too hot, and December & January too wet and cold. We started in mid-November and planned to walk until it got too cold for us. We were hoping to finish the trail. By the end of November, however, we decided the nights in the mountains were just too cold for us to continue with the gear we had. With proper equipment or by staying in pansions instead of camping, we could have kept going because daytime temperatures were fine. But with near freezing temperatures after the sun went down and our summer mesh walled tent and sleeping bags rated for 10ºC, we called it quits after 200 km on the trail. We really enjoyed the peace and solitude of camping along the trail, and didn’t want to sacrifice that part of the experience by staying in pansions just to keep going. 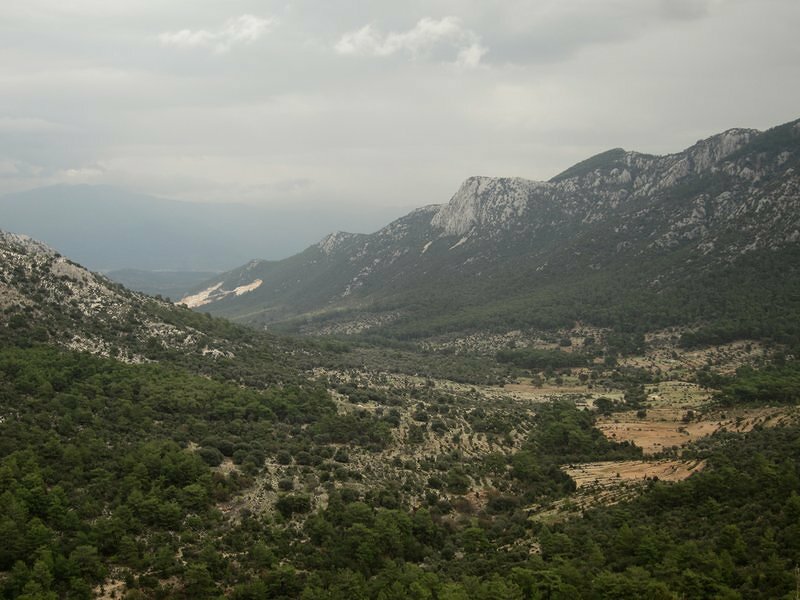 We were also approaching some mountain ranges that we were ill-equipped for. With the possibility of snowstorms in December that could bury the waymarkers and without topographical maps or a GPS, we didn’t want to risk hiking at these elevations. Perhaps your feet and legs didn’t hurt so much because you had proper hiking boots. It makes a big difference to my feet and legs. That might have had something to do with it. We did have proper hiking shoes for the Camino as well, but they were a little worn when we started. Concrete always makes a big difference though. Hello, thank you for sharing your experience. 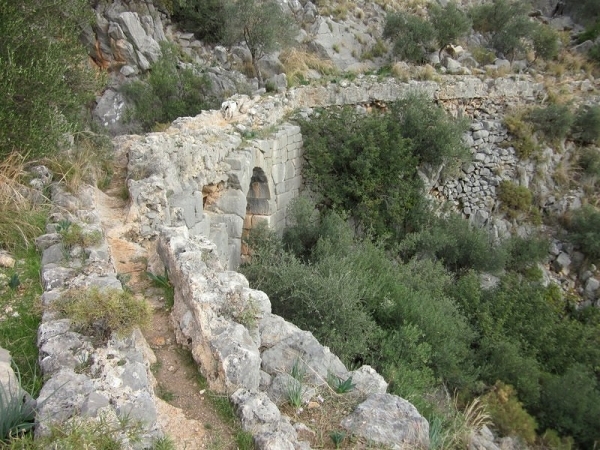 We are planning to go to the Lycian way in February and we are not sure about the weather. 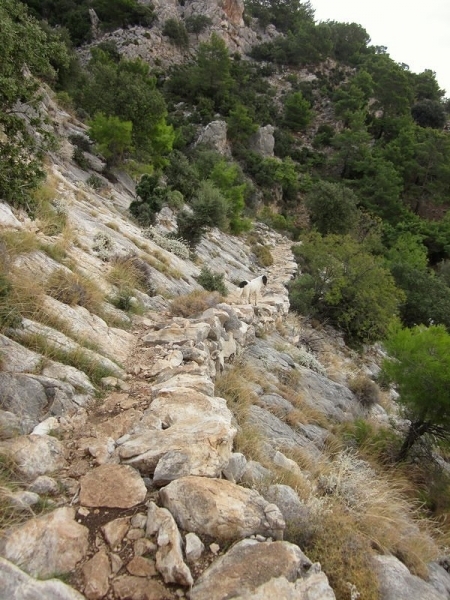 Can you tell us if it is OK to hike through the Lycian way in Febraury? And what about strong showers and thunderstorms? Did you face them? We have 3season sleeping bags and good tent but we are a little afraid of heavy rains. Thank you very much for your reply, Zuzana. I honestly couldn’t tell you what the weather would be like February. We really lucked out with the rain, there were a few big thunderstorms at night, but our tent more or less kept us dry (except when a stream arose under where we had set up our tent and we were soaked, but that was our own fault). We didn’t have to do any hiking in the rain. Are you planning on doing the entire trail? I would be a little worried about potential snowstorms in the mountain sections – I think a GPS would be mandatory equipment in case the waymarkers get covered by snow. Probably the best I could do is point you in the direction of Kate and Huseyin at http://cultureroutesinturkey.com They are really good at answering their emails. Hey, thanks for the blog post. It’s really great. It’s kind of funny that we are reading this because my girlfriend and i just walked 900km on the Camino Frances and are now heading to the lycian way. Good luck on your adventures, you wouldn’t happen to be in Sri Lanka next would you? Brilliant! 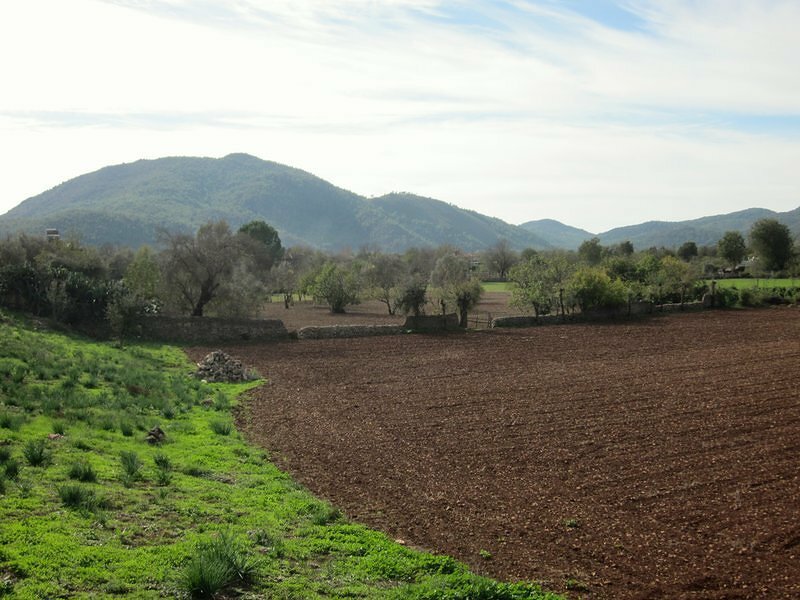 We loved the Camino Frances… it’s what inspired us to find the Lycian Way to walk. Enjoy your time there and keep your eyes peeled for a friendly, black and white dog (she was our hiking companion from Faralya to Kas, for about 11 days). 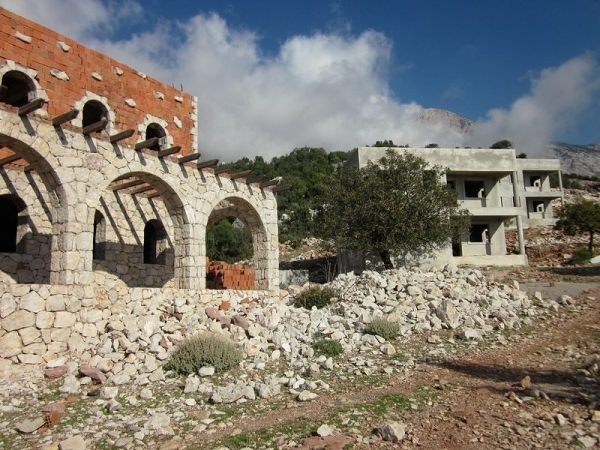 I’m a french guy who intend to do the lycian way (not the whole, maybe about 2 or 300 ) starting by mid-november. Do you have an idea of which parts would be the best at that time ? Means the warmest, and lowest by the occasion ?